Need energy but don’t want to drink Red Bull? This month Open Colleges’ student, Anjali Weerakoon, shares her tips on how to snack smarter for long-lasting energy without sacrificing your health. It’s 3pm, you’re in the office and you’re thinking of pulling a George Costanza and taking a nap under your desk. Instead you decide to go and get a coffee. Stop right there! I can help you with this one. Now don’t get me wrong, I love coffee and I drink coffee, but after one cup in the morning, I believe that there are other foods that can give you that ‘get up and go’ feeling. Bananas: Make those bodies sing! I couldn’t write this post without starting with the humble banana. Containing around 100 calories, the banana contains three natural sugars: fructose, sucrose and glucose. Each of these sugars provides an energy boost, while their concentration and composition in the banana help to keep your blood sugar stable, so you don’t get a sugar crash. 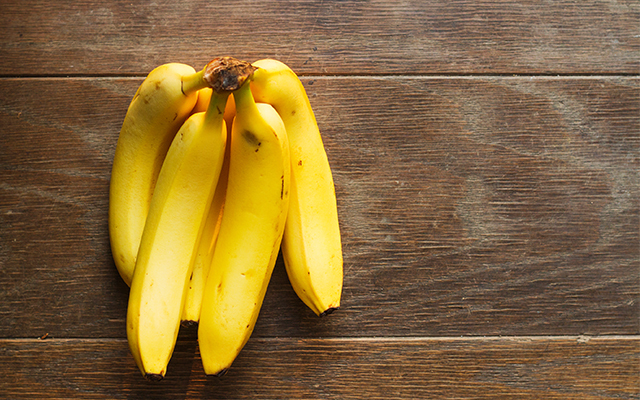 So whether you have it in the morning with your cereal like me, smash it up in a smoothie or just eat it as a stand-alone snack, the banana is a great way to quickly get an energy boost, minus the crash later on. I love eggs! Versatile and suitable to eat at any time of the day, in a meal or as a snack, the protein in eggs really packs a punch to provide sustained energy without spiking blood sugar levels. 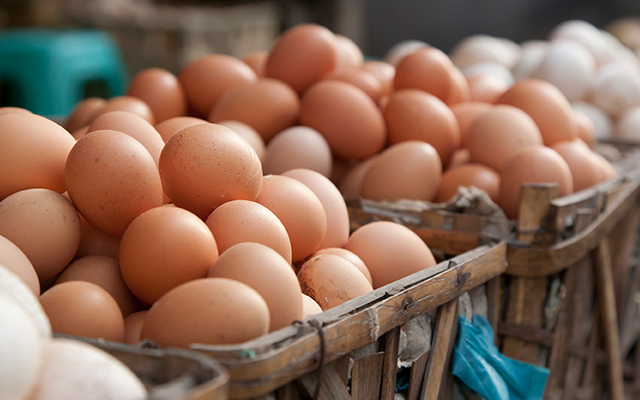 Rich in B-vitamins, as well as thiamine, riboflavin and folate, eggs provide long-lasting energy, while their high protein levels help to preserve muscle mass and essential amino acids like leucine, help the body use energy and recover from exercise. Filling, cheap, low in calories and quick to prepare, eggs make an egg-cellent choice for an energy boost. 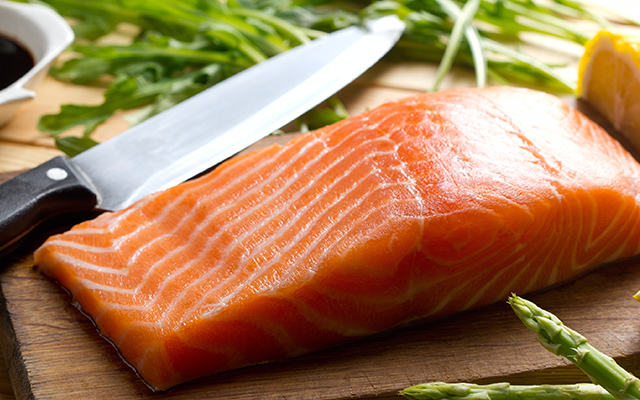 Salmon is one of my favourite proteins as it fills you up and gives you sustained energy. Salmon contains a healthy dose of Omega-3 fatty acids which help with brain functionality and memory, whilst its protein levels make the fish an energy powerhouse. My favourite simple salmon recipe is to sprinkle a fillet with olive oil and a bit of salt and pepper and bake it in the oven. Coupled with some rice and vegies and you have yourself a perfect, healthy and tasty meal that will give you that energy lift you’re looking for. 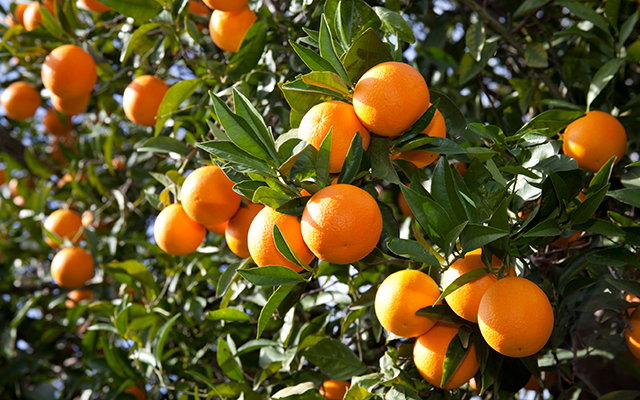 Oranges are rich in Vitamin C, folate and potassium and provide a sweet sustained energy boost when you need it! As an added bonus they can lower cholesterol and boost heart health! Plus they are easy to eat while you’re out and about. Adding it to your favourite juice can also sweeten it without having to add any sugar. 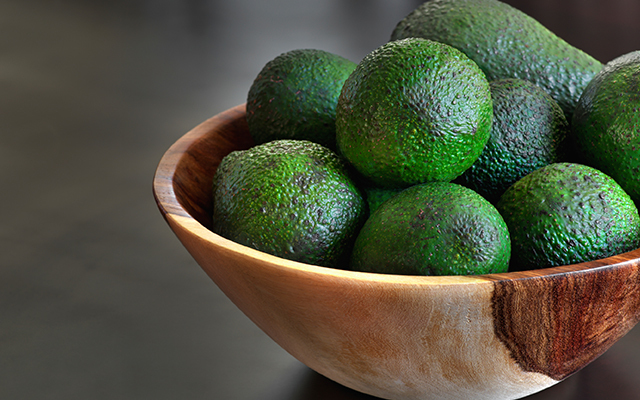 An average avocado has around 280 calories and 25g of fat, but only 4 of those grams are saturated fat (i.e. the ‘bad’ fat). The other 21 grams of fat is made up of good monounsaturated and polyunsaturated fats. So why have I chosen to list this as an energy food? There’s actually more to the avocado than meets the eye, for example, it contains fibre and funnily enough more protein than most other fruits. This protein makes it an ideal source of energy and sustenance. There are so many ways to enjoy an avocado: you can use it as a spread on toast or sandwiches, it makes a great addition to salads or it is great smashed up with some tomatoes and Spanish onion for a fresh and healthy dip. Bircher muesli doesn’t exactly have the best reputation for being healthy, but my recipe is not only healthy, it also provides a long-lasting energy boost to keep you going until lunchtime. 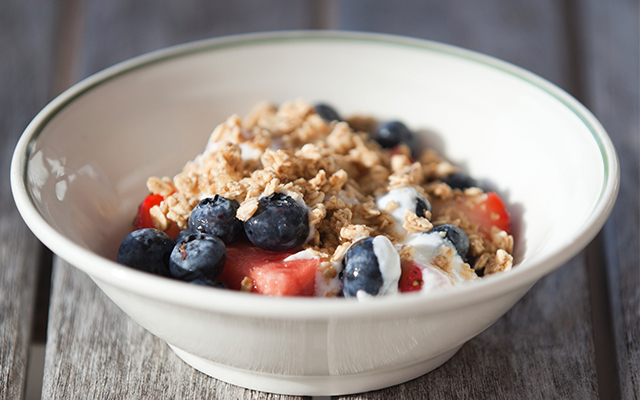 The recipe calls for one cup of oats soaked overnight in water, mixed with two tablespoons of low fat yogurt, one cup of berries and a drizzle of honey. Enjoy! 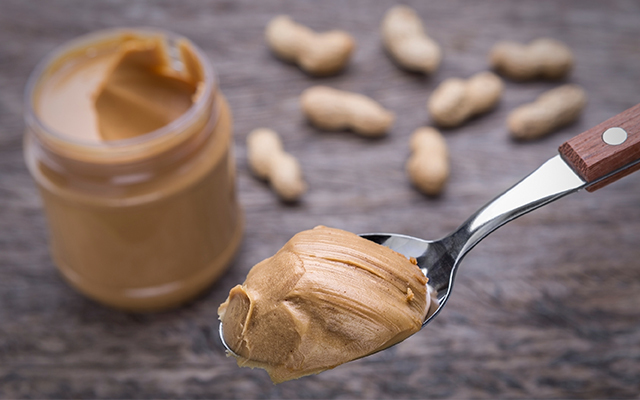 Beat your afternoon slump with a teaspoon of peanut butter on a Corn Thin. With 8g of protein per serving it will definitely keep you fuller for longer, plus the mix of protein to carbs will stave off hunger and help to keep your insulin and blood sugar levels in check. My go-to healthy dinner is a pork, sweet potato and cous cous dish. 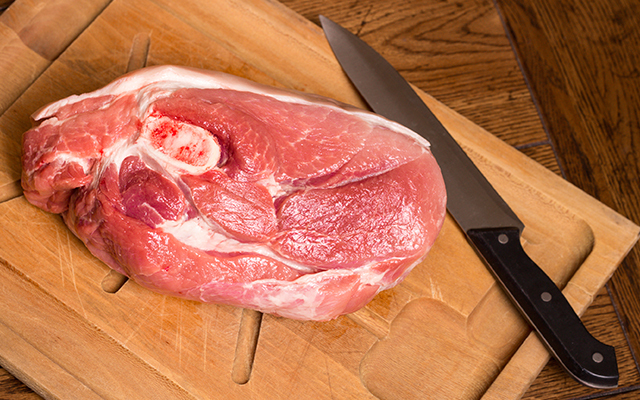 As far as health goes, you can get some really lovely lean cuts of pork and as a low fat meat it contains protein which keeps you fuller for longer. For an accompaniment I like to cut up a sweet potato into little strips then spray it with a little olive oil before baking it in the oven – a great alternative to potato chips! Sweet potato has many health benefits. It is loaded with beta-carotene (Vitamin A) and Vitamin C for a powerful energy boost. Another positive of the sweet potato is that it contains zero fat and is very low in calories. Cous cous mainly contains carbohydrates which is the main source of energy for our bodies. It has many beneficial vitamins and minerals as well as protein. I love that it is sugar and fat free and can be eaten savoury or sweet. So for me, this is the perfect energy-packed meal as it contains meat, vegetables and grains, all on the one plate! Next time you reach for a Kit-Kat or a cup of sugary coffee, take a moment and choose one of my healthy alternatives instead. 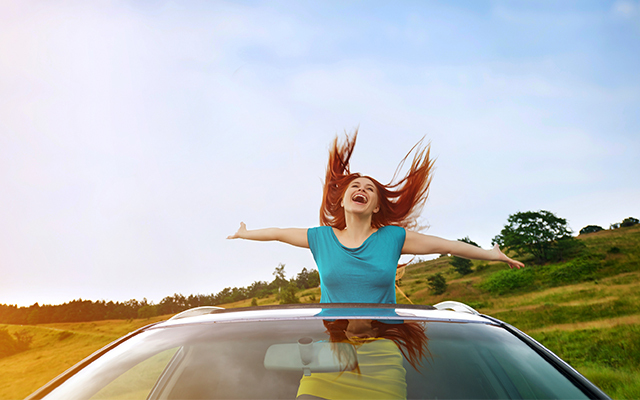 Not only will they give you the energy that you’re looking for, but they’ll also provide your body with good stuff, like vitamins, protein and minerals, rather than just empty calories. thanks for the well written, informative piece.